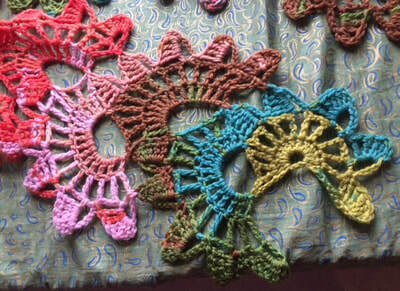 This pattern is worked with flower motifs in a crochet tape technique. 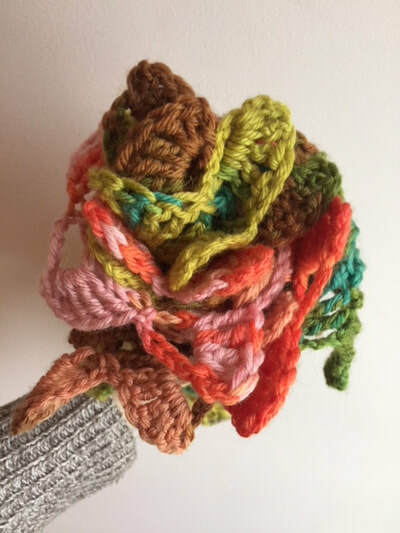 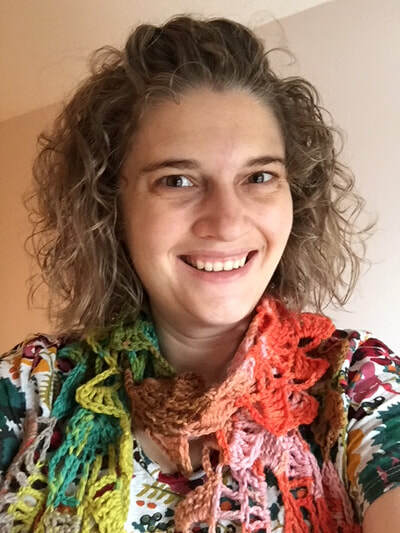 Alternating rows and linking to flowers in previous rows gives a dynamic flow and strength to the scarf. 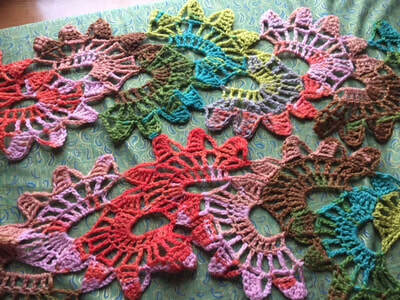 Color changing yarn is recommended to look like a colorful assortment of flowers. 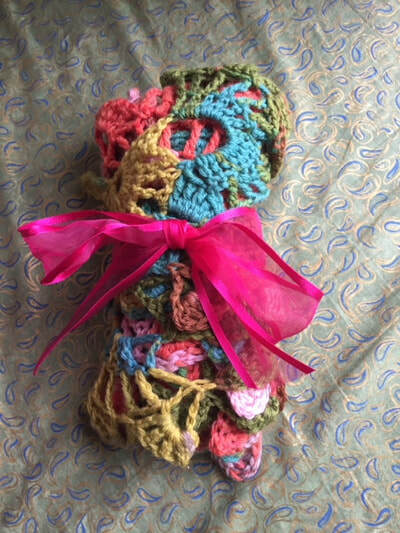 Package with a pretty ribbon to complete your posey bouquet.